This is my Mother. I am the slightly long haired Aspie - in real life. And my Mother is unaware (and my father) what it is and therefore....... I have just have to keep away. I mean, I'm 35 so I'm getting a bit tired of explaining 'Mum, do you know i used to ask questions all the time and wore only the same clothes and got bullied? 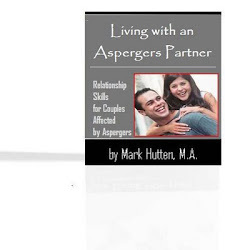 Well, that was Aspergers' - 'Oh! your little problem!'. We must find the space to laugh at this!! In our own time.